Have you purchased the Complete Set of Reference Materials in the past 12 months? Attended a Choice of Possibilities in the past 12 months? If YES, then the Reference Materials UPDATE is for you. 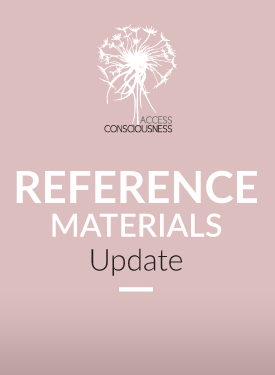 The Reference Material Update includes reference materials from Foundation (formerly Foundation & Level 1) and Choice of Possibilities (formerly Level 2&3).